With these handy charts by your side, clutter — of all kinds — will simply flow right out of your home, office, and life! Only $59 for all 15 chart Modules! Go With The Flow! 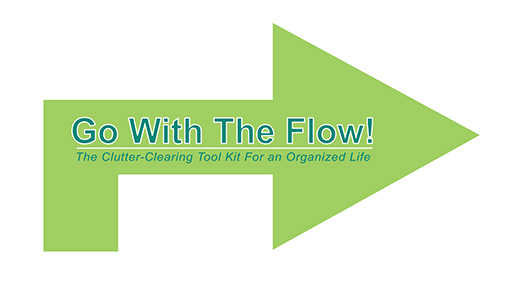 The Clutter-Clearing Tool Kit For an Organized Life is the easiest way to clear clutter on your own. 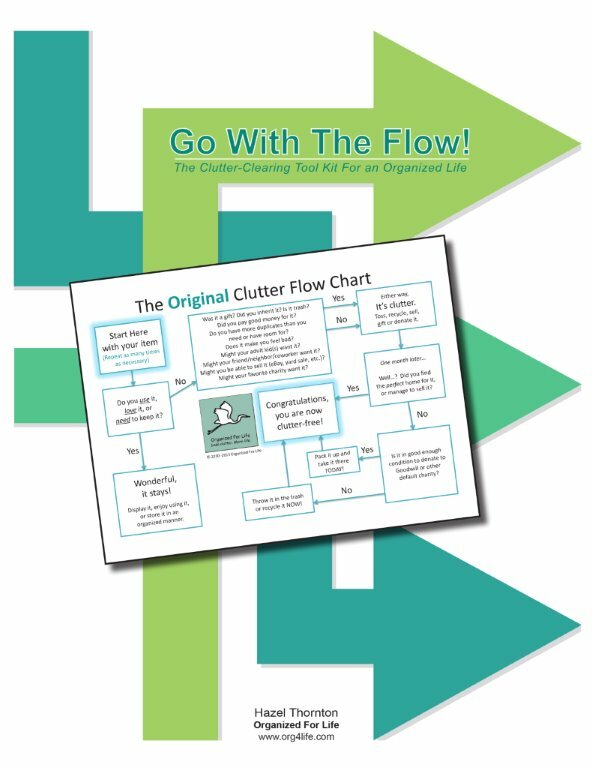 This 67-page e-workbook contains 15 Clutter Flow Chart modules (charts, companion articles, worksheets, and click-able resources) plus instructions for use and click-able table of contents. Delivered to your email inbox in PDF format. Do you want to declutter on your own? But you’re not sure how, or where to start, or how to decide what to keep, or what to do with the stuff you don’t want anymore? Do you find visual aids helpful? These charts come with easy-to-follow instructions, worksheets, and click-able resources. You only print out one module at a time to work on, and — because 15 charts can be overwhelming — there’s a chart to help you figure out which chart to start with! Click here for chart descriptions. Would you like a bargain? Get all 15 chart modules for the price of 10 if purchased separately…which, by the way, is also less than the price of an hour with a professional organizer! If you answered YES to these 3 questions, then YES, you should Go With The Flow!